♬ För Vår Frihet (MP3 320 kbps) with Razzia is a punk-rock song that leaves a little more to wish for. 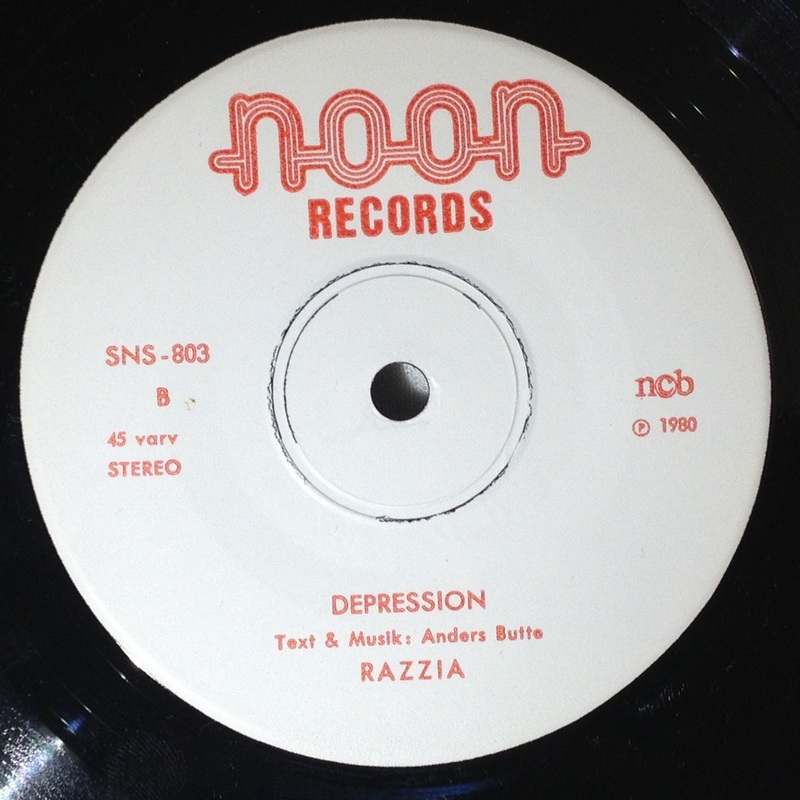 What’s interesting with this 7″ is the B-side. 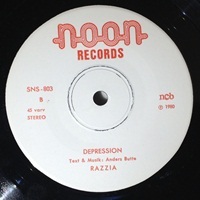 The song ♬ Depression (MP3 320 kbps) is real D-beat slammer anno 1980. This gang was from Stockholm, Sweden. This EP had Jimmy Johansson from Urrk doin’ the singing. The proto D-beat drummer was Peter Tärnström. Patrik Johnsson (Jönsson?) was one of the founding members. On guitar: Anders Olofsson. 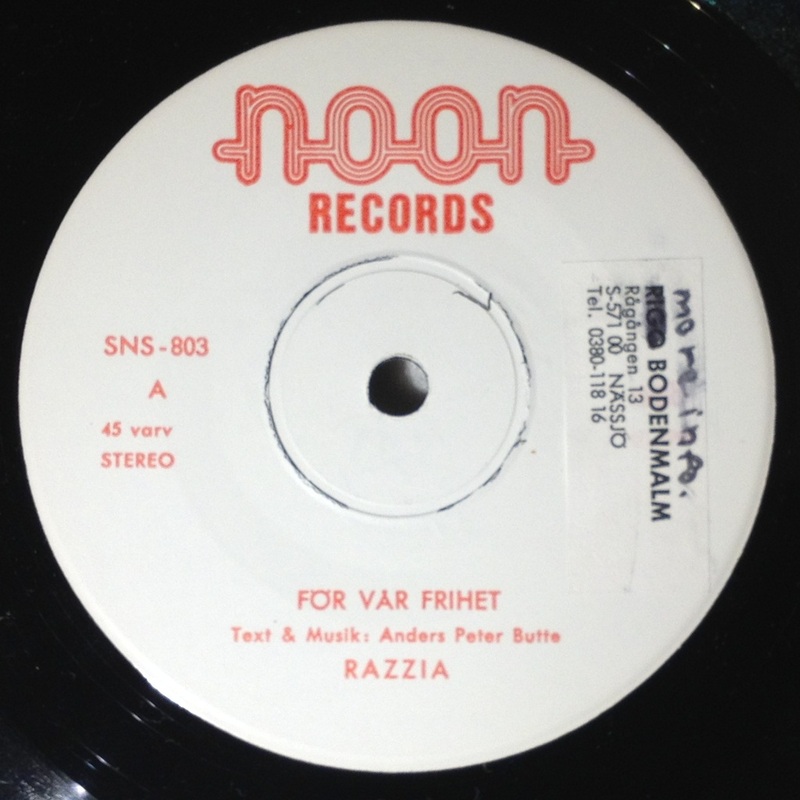 The band lasted for a year and made a couple of dozen of gigs around Sweden. 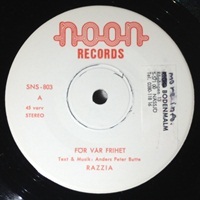 I don’t know much more about the band, This specific copy got a sticker from Mats Bodenmalm’s distro stating: More info? …and a phone number, I guess I give him a call tonight! Click on the images to expand them to higher resolution. The rips and images are from my record.The front and rear sleeve looks the same. 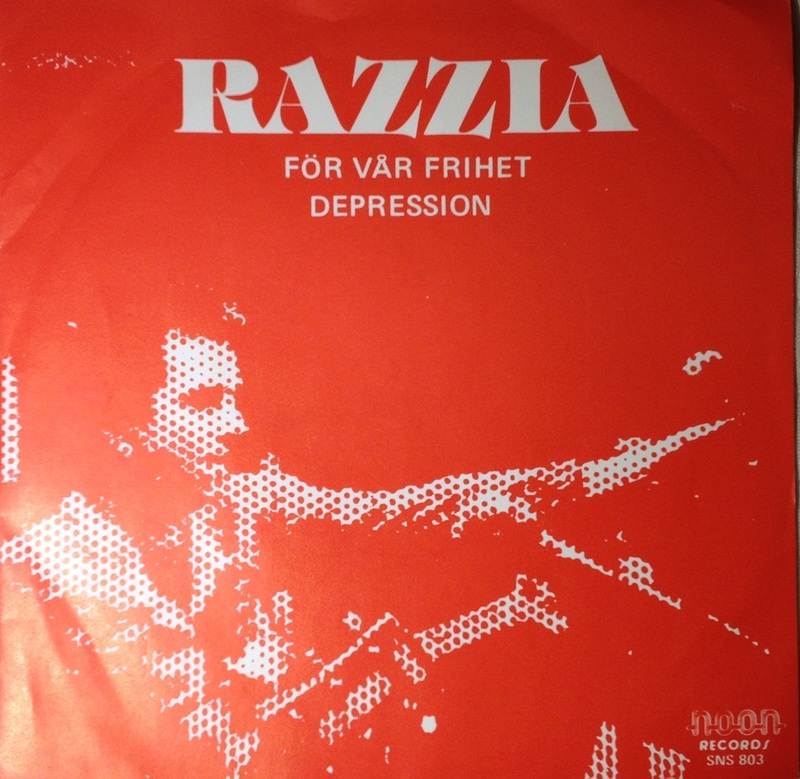 In my top 5 of swedish punk singles! It’s close to perfection, and the a-side ain’t bad at all, you need to listen to it more! Right, I am stereotyping as usual.